For other uses, see Wax (disambiguation). Cetyl palmitate, a typical wax ester. Commercial honeycomb foundation, made by pressing beeswax between patterned metal rollers. Waxes are a diverse class of organic compounds that are lipophilic, malleable solids near ambient temperatures. They include higher alkanes and lipids, typically with melting points above about 40 °C (104 °F), melting to give low viscosity liquids. Waxes are insoluble in water but soluble in organic, nonpolar solvents. Natural waxes of different types are produced by plants and animals and occur in petroleum. Higher alkanes are alkanes having nine or more carbon atoms. Nonane is the lightest alkane to have a flash point above 25 °C, and is not classified as dangerously flammable. In biology and biochemistry, a lipid is a biomolecule that is soluble in nonpolar solvents. Non-polar solvents are typically hydrocarbons used to dissolve other naturally occurring hydrocarbon lipid molecules that do not dissolve in water, including fatty acids, waxes, sterols, fat-soluble vitamins, monoglycerides, diglycerides, triglycerides, and phospholipids. In organic chemistry, an alkyl substituent is an alkane missing one hydrogen. The term alkyl is intentionally unspecific to include many possible substitutions. An acyclic alkyl has the general formula CnH2n+1. A cycloalkyl is derived from a cycloalkane by removal of a hydrogen atom from a ring and has the general formula CnH2n-1. Typically an alkyl is a part of a larger molecule. In structural formula, the symbol R is used to designate a generic (unspecified) alkyl group. The smallest alkyl group is methyl, with the formula CH3−. In organic chemistry, functional groups are specific substituents or moieties within molecules that are responsible for the characteristic chemical reactions of those molecules. The same functional group will undergo the same or similar chemical reaction(s) regardless of the size of the molecule it is a part of. This allows for systematic prediction of chemical reactions and behavior of chemical compounds and design of chemical syntheses. Furthermore, the reactivity of a functional group can be modified by other functional groups nearby. In organic synthesis, functional group interconversion is one of the basic types of transformations. A carboxylic acid is an organic compound that contains a carboxyl group. The general formula of a carboxylic acid is R–COOH, with R referring to the rest of the molecule. Carboxylic acids occur widely. Important examples include the amino acids and acetic acid. Deprotonation of a carboxyl group gives a carboxylate anion. Important carboxylate salts are soaps. Waxes are synthesized by many plants and animals. Those of animal origin typically consist of wax esters derived from a variety of carboxylic acids and fatty alcohols. In waxes of plant origin, characteristic mixtures of unesterified hydrocarbons may predominate over esters. The composition depends not only on species, but also on geographic location of the organism. Biosynthesis is a multi-step, enzyme-catalyzed process where substrates are converted into more complex products in living organisms. In biosynthesis, simple compounds are modified, converted into other compounds, or joined together to form macromolecules. This process often consists of metabolic pathways. Some of these biosynthetic pathways are located within a single cellular organelle, while others involve enzymes that are located within multiple cellular organelles. Examples of these biosynthetic pathways include the production of lipid membrane components and nucleotides. Biosynthesis is usually synonymous with anabolism. Beeswax is a natural wax produced by honey bees of the genus Apis. The wax is formed into scales by eight wax-producing glands in the abdominal segments of worker bees, which discard it in or at the hive. The hive workers collect and use it to form cells for honey storage and larval and pupal protection within the beehive. Chemically, beeswax consists mainly of esters of fatty acids and various long-chain alcohols. A honeycomb is a mass of hexagonal prismatic wax cells built by honey bees in their nests to contain their larvae and stores of honey and pollen. In chemistry, an ester is a chemical compound derived from an acid in which at least one –OH (hydroxyl) group is replaced by an –O–alkyl (alkoxy) group. Usually, esters are derived from a carboxylic acid and an alcohol. Glycerides, which are fatty acid esters of glycerol, are important esters in biology, being one of the main classes of lipids, and making up the bulk of animal fats and vegetable oils. Esters with low molecular weight are commonly used as fragrances and found in essential oils and pheromones. Phosphoesters form the backbone of DNA molecules. Nitrate esters, such as nitroglycerin, are known for their explosive properties, while polyesters are important plastics, with monomers linked by ester moieties. Esters usually have a sweet smell and are considered high-quality solvents for a broad array of plastics, plasticizers, resins, and lacquers. They are also one of the largest classes of synthetic lubricants on the commercial market. Plants secrete waxes into and on the surface of their cuticles as a way to control evaporation, wettability and hydration. The epicuticular waxes of plants are mixtures of substituted long-chain aliphatic hydrocarbons, containing alkanes, alkyl esters, fatty acids, primary and secondary alcohols, diols, ketones, aldehydes. From the commercial perspective, the most important plant wax is carnauba wax, a hard wax obtained from the Brazilian palm Copernicia prunifera . Containing the ester myricyl cerotate, it has many applications, such as confectionery and other food coatings, car and furniture polish, floss coating, and surfboard wax. Other more specialized vegetable waxes include candelilla wax and ouricury wax. A plant cuticle is a protecting film covering the epidermis of leaves, young shoots and other aerial plant organs without periderm. It consists of lipid and hydrocarbon polymers impregnated with wax, and is synthesized exclusively by the epidermal cells. Epicuticular wax is a coating of wax covering the outer surface of the plant cuticle in land plants. It may form a whitish film or bloom on leaves, fruits and other plant organs. Chemically, it consists of hydrophobic organic compounds, mainly straight-chain aliphatic hydrocarbons with a variety of substituted functional groups. The main functions of the epicuticular wax are to decrease surface wetting and moisture loss. Other functions include reflection of ultraviolet light, assisting in the formation of an ultrahydrophobic and self-cleaning surface and acting as an anti-climb surface. 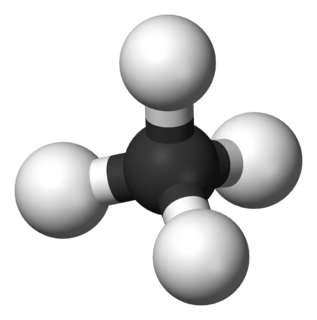 In organic chemistry, a hydrocarbon is an organic compound consisting entirely of hydrogen and carbon. Hydrocarbons are examples of group 14 hydrides. Hydrocarbons from which one hydrogen atom has been removed are functional groups called hydrocarbyls. Because carbon has 4 electrons in its outermost shell carbon has exactly four bonds to make, and is only stable if all 4 of these bonds are used. Although many natural waxes contain esters, paraffin waxes are hydrocarbons, mixtures of alkanes usually in a homologous series of chain lengths. These materials represent a significant fraction of petroleum. They are refined by vacuum distillation. Paraffin waxes are mixtures of saturated n- and iso- alkanes, naphthenes, and alkyl- and naphthene-substituted aromatic compounds. A typical alkane paraffin wax chemical composition comprises hydrocarbons with the general formula CnH2n+2, such as hentriacontane, C31H64. The degree of branching has an important influence on the properties. Microcrystalline wax is a lesser produced petroleum based wax that contains higher percentage of isoparaffinic (branched) hydrocarbons and naphthenic hydrocarbons. Millions of tons of paraffin waxes are produced annually. They are used in foods (such as chewing gum and cheese wrapping), in candles and cosmetics, as non-stick and waterproofing coatings and in polishes. Montan wax is a fossilized wax extracted from coal and lignite. It is very hard, reflecting the high concentration of saturated fatty acids and alcohols. Although dark brown and odorous, they can be purified and bleached to give commercially useful products. Polyethylene waxes are manufactured by one of three methods: 1- direct polymerization of ethylene (may include co -monomers also);  2- thermal degradation of high molecular weight polyethylene resin;  3- recovery of low molecular weight fractions from high molecular weight resin production. Each production technique generates products with slightly different properties. Key properties of low molecular weight polyethylene waxes are viscosity, density and melt point. Polyethylene waxes produced by means of degradation or recovery from polyethylene resin streams contain very low molecular weight materials that must be removed to prevent volatilization and potential fire hazards during use. Polyethylene waxes manufactured by this method are usually stripped of low molecular weight fractions to yield a flash point > 500°F(> 260°C). Many polyethylene resin plants produce a low molecular weight stream often referred to as Low Polymer Wax (LPW). LPW is unrefined and contains volatile oligomers, corrosive catalyst and may contain other foreign material and water. Refining of LPW to produce a polyethylene wax involves removal of oligomers and hazardous catalyst. Proper refining of LPW to produce polyethylene wax is especially important when being used in applications requiring FDA or other regulatory certification. Waxes are mainly consumed industrially as components of complex formulations, often for coatings. The main use of polyethylene and polypropylene waxes is in the formulation of colourants for plastics. Waxes confer matting effects and wear resistance to paints. Polyethylene waxes are incorporated into inks in the form of dispersions to decrease friction. They are employed as release agents, find use as slip agents in furniture, and confer corrosion resistance. Waxes such as paraffin wax or beeswax, and hard fats such as tallow are used to make candles, used for lighting and decoration. Waxes are used as finishes and coatings for wood products. Beeswax is frequently used as a lubricant on drawer slides where wood to wood contact occurs. A lava lamp is a novelty item that contains wax melted from below by a bulb. The wax rises and falls in decorative, molten blobs. Sealing wax was used to close important documents in the Middle Ages. Wax tablets were used as writing surfaces. There were different types of wax in the Middle Ages, namely four kinds of wax (Ragusan, Montenegro, Byzantine, and Bulgarian), "ordinary" waxes from Spain, Poland, and Riga, unrefined waxes and colored waxes (red, white, and green). Waxes are used to make wax paper, impregnating and coating paper and card to waterproof it or make it resistant to staining, or to modify its surface properties. Waxes are also used in shoe polishes, wood polishes, and automotive polishes, as mold release agents in mold making, as a coating for many cheeses, and to waterproof leather and fabric. Wax has been used since antiquity as a temporary, removable model in lost-wax casting of gold, silver and other materials. Wax with colorful pigments added has been used as a medium in encaustic painting, and is used today in the manufacture of crayons, china markers and colored pencils. Carbon paper, used for making duplicate typewritten documents was coated with carbon black suspended in wax, typically montan wax, but has largely been superseded by photocopiers and computer printers. In another context, lipstick and mascara are blends of various fats and waxes colored with pigments, and both beeswax and lanolin are used in other cosmetics. Ski wax is used in skiing and snowboarding. Also, the sports of surfing and skateboarding often use wax to enhance the performance. Some waxes are considered food-safe and are used to coat wooden cutting boards and other items that come into contact with food. Beeswax or coloured synthetic wax is used to decorate Easter eggs in Romania, Ukraine, Poland, Lithuania and the Czech Republic. Paraffin wax is used in making chocolate covered sweets. Wax is also used in wax bullets, which are used as simulation aids. Ouricury wax - from the Brazilian feather palm, Syagrus coronata . Tallow Tree wax - from the seeds of the tallow tree Triadica sebifera. Wax argument or the "ball of wax example", is a thought experiment originally articulated by Renė Descartes. In organic chemistry, an alkane, or paraffin (a historical name that also has other meanings), is an acyclic saturated hydrocarbon. In other words, an alkane consists of hydrogen and carbon atoms arranged in a tree structure in which all the carbon–carbon bonds are single. Alkanes have the general chemical formula CnH2n+2. The alkanes range in complexity from the simplest case of methane (CH4), where n = 1 (sometimes called the parent molecule), to arbitrarily large and complex molecules, like pentacontane (C50H102) or 6-ethyl-2-methyl-5-(1-methylethyl) octane, an isomer of tetradecane (C14H30). Paraffin wax is a soft colourless solid, derived from petroleum, coal or shale oil, that consists of a mixture of hydrocarbon molecules containing between twenty and forty carbon atoms. It is solid at room temperature and begins to melt above approximately 37 °C (99 °F); its boiling point is >370 °C (698 °F). Common applications for paraffin wax include lubrication, electrical insulation, and candles; dyed paraffin wax can be made into crayons. It is distinct from kerosene and other petroleum products that are sometimes called paraffin. Lanolin, also called wool wax or wool grease, is a wax secreted by the sebaceous glands of wool-bearing animals. Lanolin used by humans comes from domestic sheep breeds that are raised specifically for their wool. Historically, many pharmacopoeias have referred to lanolin as wool fat ; however, as lanolin lacks glycerides, it is not a true fat. Lanolin primarily consists of sterol esters instead. Lanolin's waterproofing property aids sheep in shedding water from their coats. Certain breeds of sheep produce large amounts of lanolin. Carnauba, also called Brazil wax and palm wax, is a wax of the leaves of the palm Copernicia prunifera, a plant native to and grown only in the northeastern Brazilian states of Piauí, Ceará, Maranhão, Bahia, and Rio Grande do Norte. It is known as "queen of waxes" and in its pure state, usually comes in the form of hard yellow-brown flakes. It is obtained from the leaves of the carnauba palm by collecting and drying them, beating them to loosen the wax, then refining and bleaching the wax. As a food additive, its E number is E903. Fatty alcohols (or long-chain alcohols) are usually high-molecular-weight, straight-chain primary alcohols, but can also range from as few as 4–6 carbons to as many as 22–26, derived from natural fats and oils. The precise chain length varies with the source. 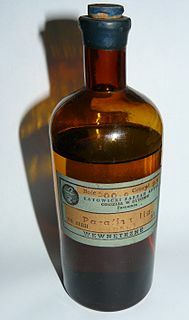 Some commercially important fatty alcohols are lauryl, stearyl, and oleyl alcohols. They are colourless oily liquids (for smaller carbon numbers) or waxy solids, although impure samples may appear yellow. Fatty alcohols usually have an even number of carbon atoms and a single alcohol group (–OH) attached to the terminal carbon. Some are unsaturated and some are branched. They are widely used in industry. As with fatty acids, they are often referred to generically by the number of carbon atoms in the molecule, such as "a C12 alcohol", that is an alcohol having 12 carbons, for example dodecanol. Montan wax, also known as lignite wax or OP wax, is a hard wax obtained by solvent extraction of certain types of lignite or brown coal. Commercially viable deposits exist in only a few locations, including Amsdorf, Germany, and in the Ione Basin near Ione, California. High-graded lignite wax are also found in Yunnan and Jilin, China. A glazing agent is a natural or synthetic substance that provides a waxy, homogeneous, coating to prevent water loss from a surface and provide other protection. Rice bran wax is the vegetable wax extracted from the bran oil of rice. Microcrystalline waxes are a type of wax produced by de-oiling petrolatum, as part of the petroleum refining process. In contrast to the more familiar paraffin wax which contains mostly unbranched alkanes, microcrystalline wax contains a higher percentage of isoparaffinic (branched) hydrocarbons and naphthenic hydrocarbons. It is characterized by the fineness of its crystals in contrast to the larger crystal of paraffin wax. It consists of high molecular weight saturated aliphatic hydrocarbons. It is generally darker, more viscous, denser, tackier and more elastic than paraffin waxes, and has a higher molecular weight and melting point. The elastic and adhesive characteristics of microcrystalline waxes are related to the non-straight chain components which they contain. Typical microcrystalline wax crystal structure is small and thin, making them more flexible than paraffin wax. It is commonly used in cosmetic formulations. A wax ester (WE) is an ester of a fatty acid and a fatty alcohol. Wax esters comprise the main components of three commercially important waxes: carnauba wax, candelilla wax, and beeswax. Gum base is the non-nutritive, non-digestible, water-insoluble masticatory delivery system used to carry sweeteners, flavors, and any other substances in chewing gum and bubble gum. It provides all the basic textural and masticatory properties of gum. 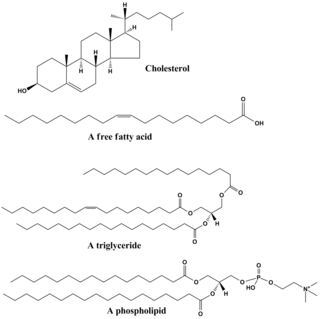 Montanic acid is a saturated fatty acid isolated and detected mainly in montan wax. It also occurs in beeswax and Chinese wax. Montanic acid ethylene glycol esters and glycerol esters are used as protective layer on fruit skins and coating on foods. It is known as E number reference E912. Sugarcane wax is a wax extracted from sugarcane. Paraffin oxidation is a historical industrial process for the production of synthetic fatty acids. The fatty acids are further processed to consumer products such as soaps and fats as well as to lubricating greases for technical applications. Coal slack wax, a saturated, high molecular weight hydrocarbon mixture and by-product of the Fischer-Tropsch process was used as raw material. Side products were a wide range of carboxylic acids and oxidation products such as alcohols, aldehydes, esters, or ketones. The oxidation of paraffins was carried out in the liquid phase by molecular oxygen in the presence of catalysts such as permanganates, at temperatures in the range of about 100 to 120 °C and under atmospheric pressure. The urea extraction crystallization is a process for separating linear paraffins from hydrocarbon mixtures through the formation of urea-n-paraffin-clathrates. The process is primarily used to lower the pour point of petroleum products, by-products of the process are n-paraffins in high purity. The method may also applied for the separation of fatty acids and fatty alcohols. In addition to urea also thiourea is used in the process. 1 2 3 Uwe Wolfmeier, Hans Schmidt, Franz-Leo Heinrichs, Georg Michalczyk, Wolfgang Payer, Wolfram Dietsche, Klaus Boehlke, Gerd Hohner, Josef Wildgruber "Waxes" in Ullmann's Encyclopedia of Industrial Chemistry, Wiley-VCH, Weinheim, 2002. doi : 10.1002/14356007.a28_103. ↑ Floros, Michael C.; Raghunanan, Latchmi; Narine, Suresh S. (2016-11-01). "A toolbox for the characterization of biobased waxes". European Journal of Lipid Science and Technology. 119 (6): n/a. doi:10.1002/ejlt.201600360. ISSN 1438-9312. ↑ Schrodi, Yann; Ung, Thay; Vargas, Angel; Mkrtumyan, Garik; Lee, Choon Woo; Champagne, Timothy M.; Pederson, Richard L.; Hong, Soon Hyeok (2008-08-01). "Ruthenium Olefin Metathesis Catalysts for the Ethenolysis of Renewable Feedstocks". CLEAN – Soil, Air, Water. 36 (8): 669–673. doi:10.1002/clen.200800088. ISSN 1863-0669. ↑ Petersson, Anna E. V.; Gustafsson, Linda M.; Nordblad, Mathias; Börjesson, Pål; Mattiasson, Bo; Adlercreutz, Patrick (2005-11-17). "Wax esters produced by solvent-free energy-efficient enzymatic synthesis and their applicability as wood coatings". Green Chemistry. 7 (12): 837. doi:10.1039/b510815b. ISSN 1463-9270. ↑ Ivanovsky, Leo (1952). Wax chemistry and technology. ↑ "Production of polyethylene waxes" (PDF). www.freepatentsonline.com. Retrieved 2017-10-18. ↑ US 9200130,D'amato, Michael J.; Santiago Faucher& Timothy L. Lincoln,"Method for obtaining wax from recycled polyethylene"
↑ "Minwax® Paste Finishing Wax | Specialty Products". Minwax.com. 2012-01-31. Retrieved 2012-12-15. ↑ The rational arts of living: Ruth and Clarence Kennedy Conference in the Renaissance, 1982, page 187, Studies in History, No 50, Alistair Cameron Crombie, Nancy G. Siraisi, Dept. of History of Smith College, 1987. Wikimedia Commons has media related to Wax .